Happy Valentines Day! I’m back with more Valentines Day treats! The Boyfriend is a cupcake fiend. Cookies are nice, he’ll eat my fresh baked scones but cupcakes are what he truly craves. 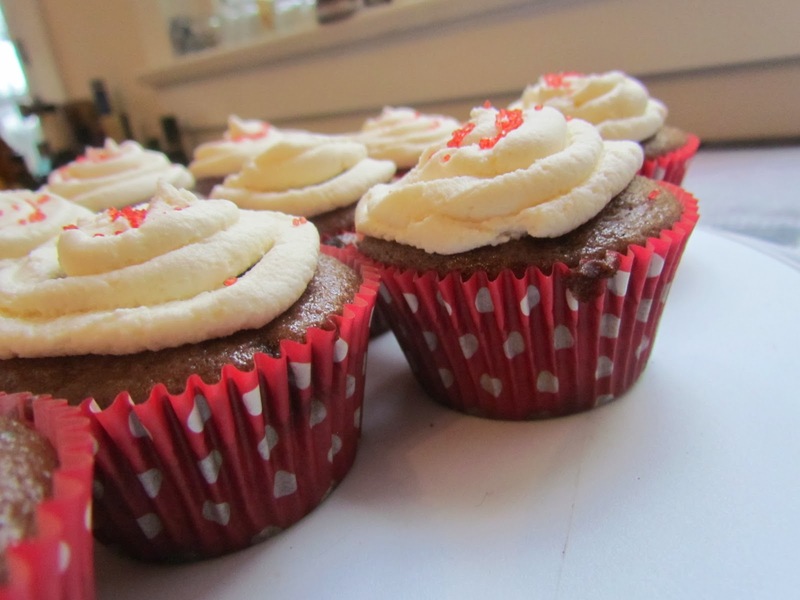 Specifically cupcakes with buttercream icing. 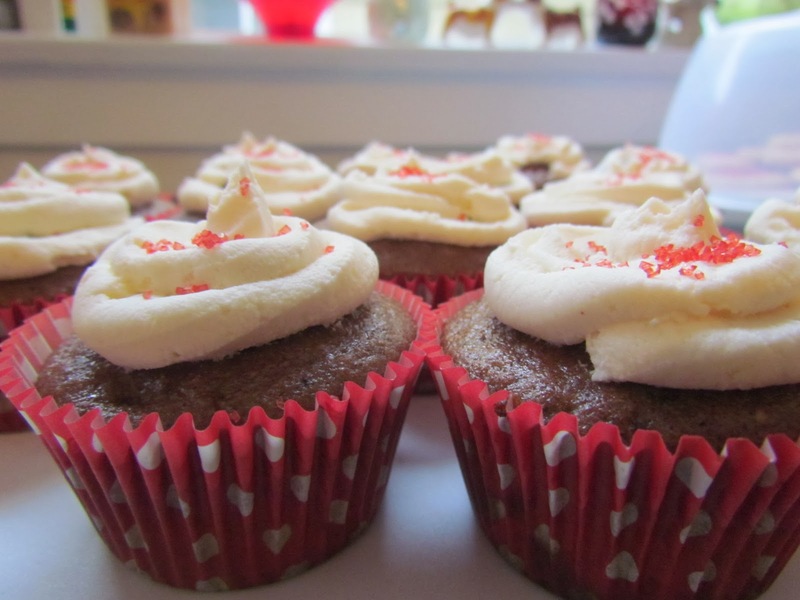 Red velvet cupcakes traditionally go with a cream cheese frosting but seeing as it his Valentines Day present I made them with a buttercream frosting. 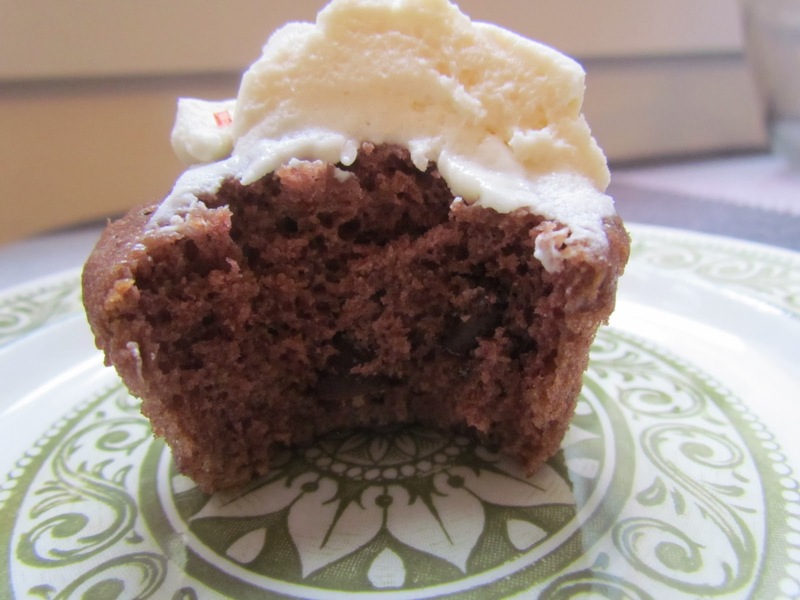 I will however include a cream cheese frosting recipe in case you prefer something more traditional! 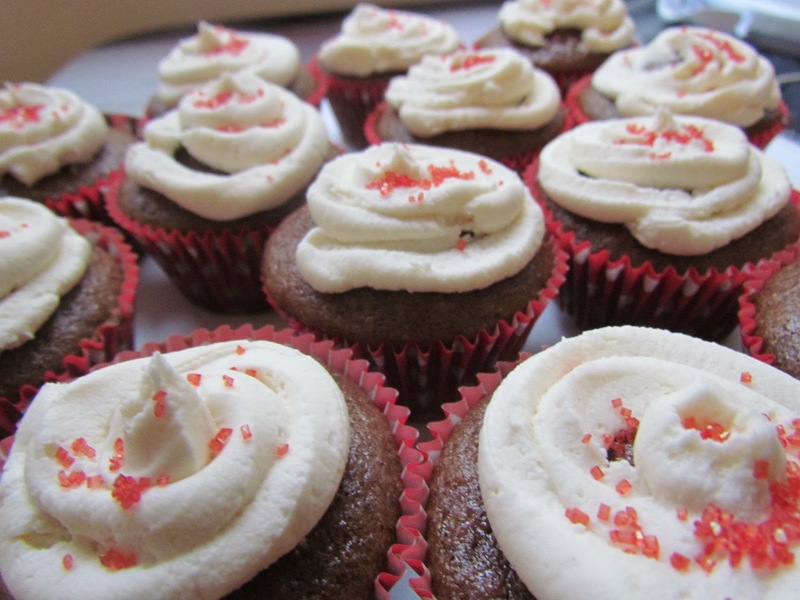 You will also notice that my cupcakes are not the bright red of the store bought variety, if you add enough red food colouring you can easily obtain that colour. However, I grew up hearing about the horrors of red food dye from my parents so I use it very sparingly. If any of you out there know of a natural alternative to red food dye that won’t add unwanted flavour I would love to hear it! 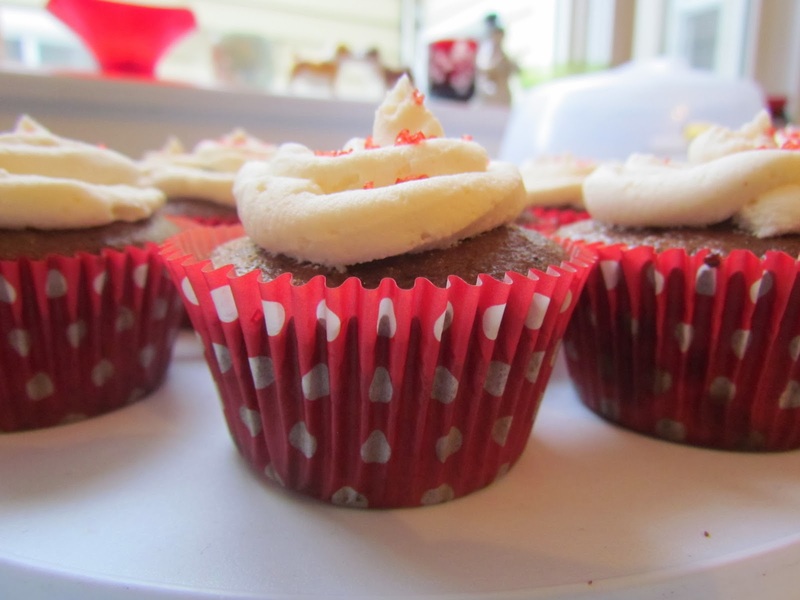 It’s more of a pink velvet I would have to admit but I made up for it with red cupcake wrappers and red sprinkles! The chocolate chips add another little kick of flavour. I’m pretty sure chocolate chips always improve things. The cupcakes are easy to whip together. No need to get out your stand mixer, just a big mixing bowl and a whisk will do you just fine. As much as I love and adore my stand mixer (and I really do, I’ve named her and everything) it’s nice keeping things simple with just a whisk and a little bit of wrist work. I hope that you all have a lovely Valentines Day with the ones that you love whether that be a significant other, a friend, family, a pet, or even just yourself! Take a day to indulge! We’re half way through February, spring is coming and you deserve a treat! Whisk together, do not overmix!